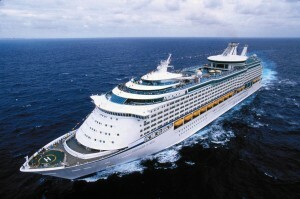 Royal Caribbean will introduce Voyager of the Seas to the China market in 2012. 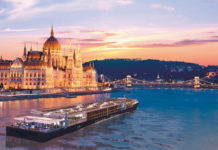 The 15-deck ship will operate out of Shanghai for three months from June next year, offering 4-10 night sailings to ports in Japan and Korea. Voyager will be double the size of the biggest cruise ship operating in China with a capacity of 1,556 staterooms. 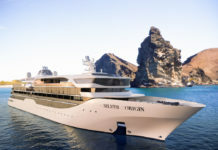 She joins Legend of the Seas which is set to return to Shanghai in March 2012 for its fourth season in the region. For the two ships, work is underway to offer a wider variety of onboard products tailored specifically to the needs of Chinese guests. Improvements will include more Chinese language services, authentic Chinese food and ‘culturally appropriate’ recreational activities and duty-free items. “There are clear opportunities in the China market, a key area for Royal Caribbean International’s global development,” said Adam Goldstein, chief executive & President of Royal Caribbean International. 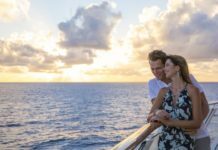 “Our brand’s strategy for China is to leverage Royal Caribbean International’s leading position in the market by offering innovative ships and customised services. Royal Promenade, an indoor “main street” stretching nearly the full length of the middle of the ship lined with places to eat, drink, shop and be entertained. “Studio B” Ice Rink, an ice-skating rink for guests that doubles as a 700-seat venue for ice show productions featuring world-class figure skaters. Eleven dining venues including specialty restaurant “Portofino” for classic Italian fine dining and 50s inspired American diner “Johnny Rockets”. Sports facilities will include Royal Caribbean’s rock-climbing wall, a nine-hole mini golf course, a golf simulator, a full size sports court with basketball court, three swimming pools and six whirlpools.